Manny Machado’s cleats have no equal. 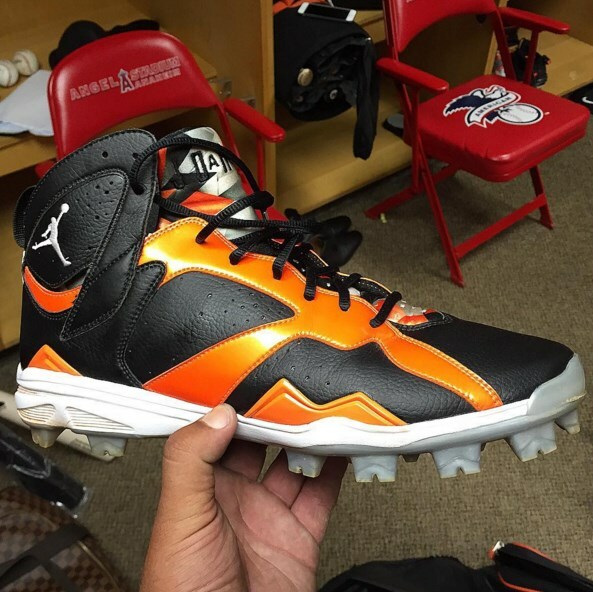 His Jordan 7 cleats, which he wears with both plastic and metal plates, are a devastating black and orange that you will see on Manny and Manny only. However, Nike throws us all a bone with the black on black Jordan 7 MCS cleats at the link.